What comes to your mind when you hear the word “science fiction”? Shortened as sci-fi, this genre can refer to books, films and even cartoons that intend to describe imagined developments in science and their effect on life in the future. Often dealing with such topics as advanced technology, space exploration, time travel and extraterrestrial life, sci-fi books have always attracted a lot of admirers. Dubbed as the literature of ideas, it is particularly popular among book adventure lovers and fantasy books readers. It can be intimidating to find the books which are definitely worth reading since science fiction is such a vast genre, so we decided to cover the best books to read in this literature category. Please, find below our BooksRun choice of the 10 best sci-fi books 2019. We divided our sci-fi books selection into the two categories – science fiction classics and modern fiction books to make your navigation and search as easy as possible. Profound science fiction quotes like this one above, indicate very well the spirit of the original sci fi literature. 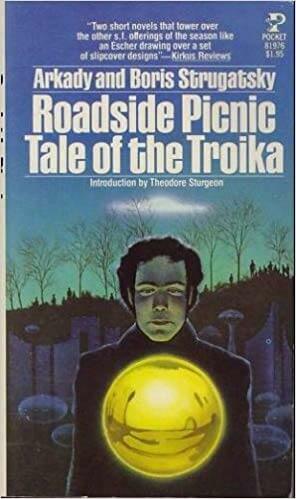 Sci Fi classics are the science fiction books that through the author’s portrayal of distant future have been earning the interest of millions of readers since the first time they appeared on the bookstore’s shelf to modern days. Typically written at the beginning or in the midst of the 20th century, they still serve as a great source of inspiration even to the representatives of Generation Y and to Post-Millennials. The names of the authors of such books have always been featured in the list of best-selling fiction authors of all time. This novel written by Soviet authors, the Strugatsky Brothers, is one of the best selling science fiction books of all time. The story is centred around Red Schuhart, a stalker, who ventured illegally into the Zone. The events take place in the book as the aftermath of the event Visitation that happened in several separate locations around the Earth over a two-day period. This book served as the inspiration to one of the best movie directors of all time (rated by IMDb) Andrei Tarkovsky for his film “Stalker”. The screenplay was actually written by the Strugatsky Brothers themselves with a slight altering of the plot: in the movie, an illegal guide helps a writer and a scientist to find their way into the devastation in order to find a mythical place known as The Room. “Stalker”, rated as one of the best sci fi movies 2017, conveys the true fantasy atmosphere of the story. The movie is full of interesting visual findings and is an example of real psychedelic art. This sci fi novel written by the renowned US writer Ursula K. Le Guin, is part of the Hainish Cycle, one of the best fantasy series ever written. It is a collection of short stories and novels all set in the fictional Hainish universe, first introduced with the book “The Dowry of the Angyar”. 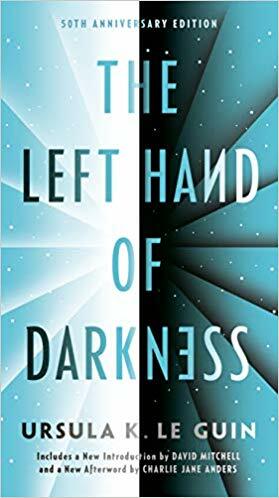 “The Left Hand of Darkness”, tells the story of Genly Ali who comes from Terra but was sent to the planet of Gethen as the Ekumen’s envoy. His mission is to persuade the Gethen’s nations to join the Ekumen. 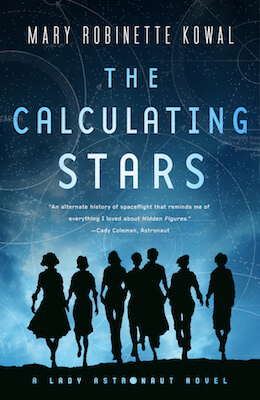 This novel was among the first books written in the genre known as feminist science fiction. Rated as one of the best sci fi books of all time, this comic science fiction novel examines the issues of free will, omniscience and the purpose of human history. The story is centred around a Martian invasion of Earth. It was announced in 2017 that the novel would be adapted as a TV series under the director Dan Harmon. 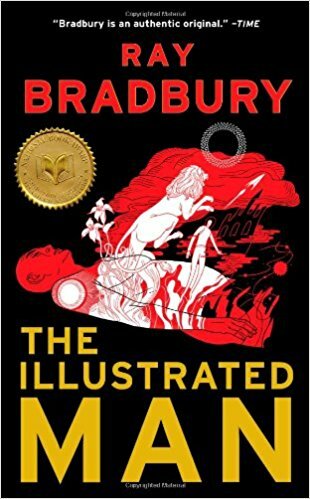 Listed among best selling books 2018, this sci fi classic represents a collection of 18 short stories by one of the most famous American writers – Ray Bradbury. The recurring theme uniting all these stories is the conflict between the technology and the psychology of people. As one of the best fantasy books series, it was nominated for the International Fantasy Award in 1952. A former member of a carnival freak show is the Illustrated Man and he has all his body tattooed. These tattoos were allegedly created by a woman travelling in time and every one of them tells a different story. This book is part of the Foundation fantasy books series written by the best selling American sci fi writer – Isaac Asimov. Written as part of the original Foundation trilogy, the story is based on the ideas expressed by Edward Gibbon in his History of the Decline and Fall of the Roman Empire. Asimov developed the concepts of the collapse of the Galactic Empire and how the science of psychohistory can foresee many alternative events. He described these ideas through the events that happen in Seldon’s life. Books in the modern science fiction category are written by post-1980s authors. It was the time of change in science fiction celebrated by the release of the “Star Wars” in the late 1970s which marked a renewed interest in the epic. In fact, it has created an inextricable link between the sci fi cinema and sci fi literature, creating such popular movements as New Hard SF and New Space Opera. These forms have reinvigorated the most traditional forms of the sci fi genre and brought to light some of the best sci fi fantasy books ever written. Recognised as one of the top books to read in modern sci fi literature, this story is part of the audio anthology called “The Lady Astronaut of Mars”. It is the story of space exploration involving the Apollo program. After an asteroid devastates the Earth, humanity has to establish a foothold off-world. The book is listed among best sci fi books 2018 and describes the alternate world with very acute social issues from race relations to gender equality arising as the aftermath once the humans set their presence far away from the Earth. Such social dualism makes this book particularly relevant for our ambiguous times. One of the top kindle books, this book is definitely on our list of good books to read 2019! The novel tells the story of a generation ship that is travelling to Tau Ceti with the intention to establish a human colony. This starship is launched from Saturn in 2545 and contains twenty-four self-contained biomes as well as a population of two thousand people. A lot of description in the novel is dedicated to the artificial intelligence of the starship making it resonate with modern day AI revolution. Other major themes in the novel concern interpersonal psychology, human migration and whether star travel is feasible. This novel written by Andy Weir is one of the great examples of best new sci fi books that are heavy on science. 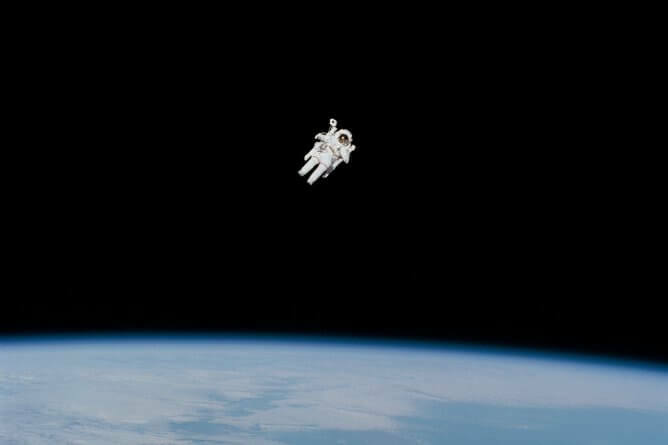 It is a story about the fictional NASA astronaut stranded all alone on Mars and about his complex mission to survive the doom and gloom in the harsh environment of the Red Planet. This book is ranked among best sci fi reddit books and it is no wonder that it inspired the science fiction movie veteran Ridley Scott to star Matt Damon as Watney for his eponymous adaptation of the book. This film was ranked as one of the best sci fi movies 2017. This book is written by the famous American writer Dan Simmons who won the Hugo Award in 1989. He created a whole fantasy books series called the Hyperion Cantos which features multiple characters and time-lines. It is reminiscent in its structure of Chaucer’s Canterbury Tales. The story in the book evolves after the scientific accident which caused the destruction of the Earth. The actions take place in the 29th century when most of the galaxy has been colonised by the Hegemony of Man. This Hegemony maintains an alliance with the TechnoCore which is the mysterious civilisation of self-aware Als who were able to invent all existing the high technology. A renowned American science fiction author John Scalzi is the winner of the Hugo award in 2008 and in 2013 and is also known for his blog Whatever to which he has been contributing since 1998. He is also the former president of the Science Fiction and Fantasy Writers of America. Old Man’s War belongs to the military science fiction movement and is in the best sci fi books 2017 list. This story revolves around John Perry who is celebrating his 75th birthday. He did two things on this day: first, he visited his wife’s grave and second, he joined the army. The old man lives at the time when the humans finally made it to the interstellar space which is the good news. The bad news is that there are not enough planets to live on and moreover, the alien races are trying hard to fight the humans. Categories: Books Tags: best sci fi books, book adventure, booksrun, booksrun textbooks, BooksRun tips, college textbooks, sci books, sci fi, science, science fiction, students Author: Dana M.